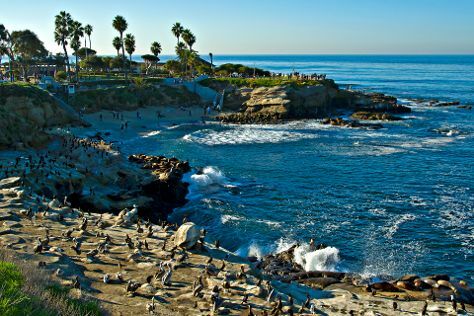 Kick off your visit on the 26th (Mon): see the interesting displays at USS Midway Museum and then tour the pleasant surroundings at La Jolla Cove. Get ready for a full day of sightseeing on the 27th (Tue): explore the galleries of Maritime Museum of San Diego and then admire nature's wide array of creatures at San Diego Zoo. To see more things to do, where to stay, reviews, and other tourist information, you can read our San Diego trip planner . Riyadh, Saudi Arabia to San Diego is an approximately 23-hour flight. You can also do a combination of flight and train; or do a combination of flight and bus. Due to the time zone difference, you'll gain 11 hours traveling from Riyadh to San Diego. In August, San Diego is colder than Riyadh - with highs of 30°C and lows of 23°C. Wrap up your sightseeing on the 27th (Tue) to allow time to travel to Carmel. Carmel-by-the-Sea, often simply called Carmel, is a city in Monterey County, California, United States, founded in 1902 and incorporated on October 31, 1916. 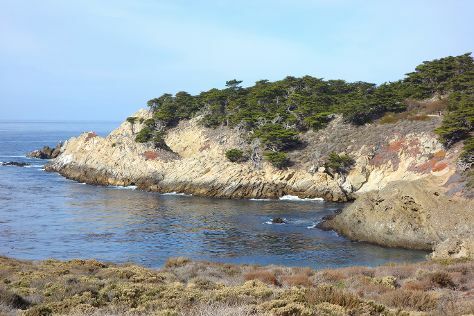 On the 28th (Wed), immerse yourself in nature at Asilomar State Beach and then admire the majestic nature at Point Lobos. To find where to stay, photos, other places to visit, and other tourist information, refer to the Carmel trip planner . Traveling by flight from San Diego to Carmel takes 4 hours. Alternatively, you can do a combination of flight and shuttle; or drive. In August, Carmel is slightly colder than San Diego - with highs of 24°C and lows of 16°C. Finish your sightseeing early on the 28th (Wed) so you can drive to Yosemite National Park. Take a break from the city and head to Tuolumne Meadows and Cathedral Beach Picnic Area. 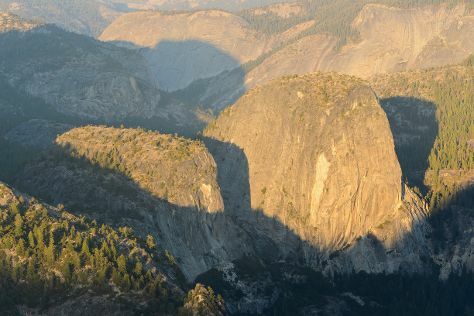 Next up on the itinerary: explore the striking landscape at Glacier Point, hike along Lembert Dome, stroll through Panorama Trail, and identify plant and animal life at Nature Center at Happy Isles. For traveler tips, maps, more things to do, and other tourist information, read our Yosemite National Park route planner . You can drive from Carmel to Yosemite National Park in 5 hours. Alternatively, you can do a combination of flight and car; or do a combination of shuttle, flight, and car. Traveling from Carmel in August, expect nights in Yosemite National Park to be slightly colder, around 7°C, while days are somewhat warmer, around 32°C. Cap off your sightseeing on the 2nd (Mon) early enough to go by car to San Francisco. Your itinerary includes some good beach time at Fort Funston National Park and Marshall’s Beach. Get some historical perspective at Alcatraz Island and City Lights Booksellers. The adventure continues: take in the views from Golden Gate Bridge, take a leisurely stroll along Fisherman's Wharf, contemplate the long history of SS Jeremiah O'Brien, and have fun and explore at Exploratorium. For more things to do, other places to visit, photos, and more tourist information, read San Francisco online travel planner . Traveling by car from Yosemite National Park to San Francisco takes 4 hours. Alternatively, you can do a combination of car and flight; or do a combination of bus and flight. Expect somewhat warmer evenings in San Francisco when traveling from Yosemite National Park in September, with lows around 17°C. Finish up your sightseeing early on the 5th (Thu) so you can travel back home.